Home / 2016 / October / 07 / Panel discussion: Is gratitude a pathway to happiness? 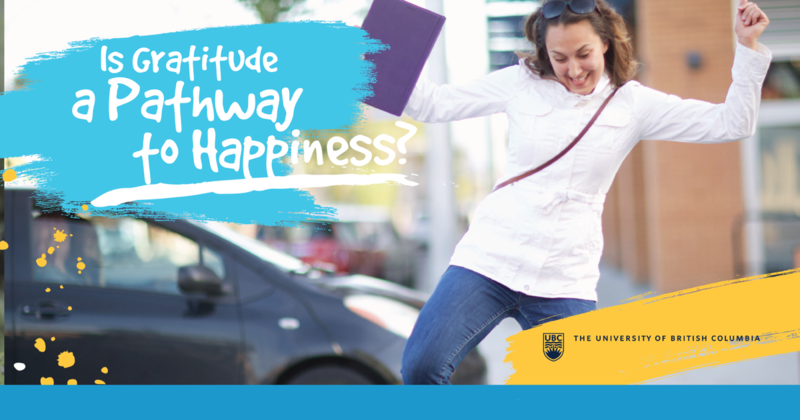 When: Thursday, October 13, from 7 to 8:30 p.m.
UBC’s School of Social Work is hosting a panel discussion, with professors from both the psychology and social work side of the house, to discuss gratitude and its connection to overall well-being and happiness. The panel, consisting of professors Assoc. Prof. Mark Holder, Assoc. Prof. Judy Gillespie, Assoc. Prof. Brian Rasmussen and PhD graduate student Holli-Anne Passmore, will discuss and answer audience questions on various aspects of gratitude. This discussion will be moderated by John Graham, director of the School of Social Work. This event is free and open to the public. Pre-registration is required.